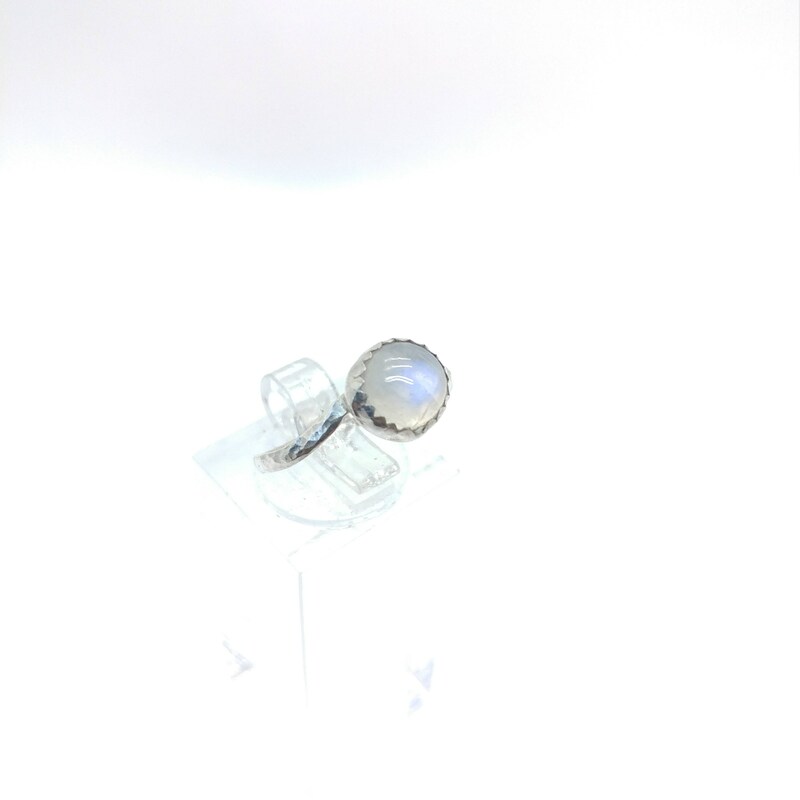 Stone name: Rainbow Moonstone, Moonstone has been used in Roman jewelry for nearly two thousand years, even longer in Asia. 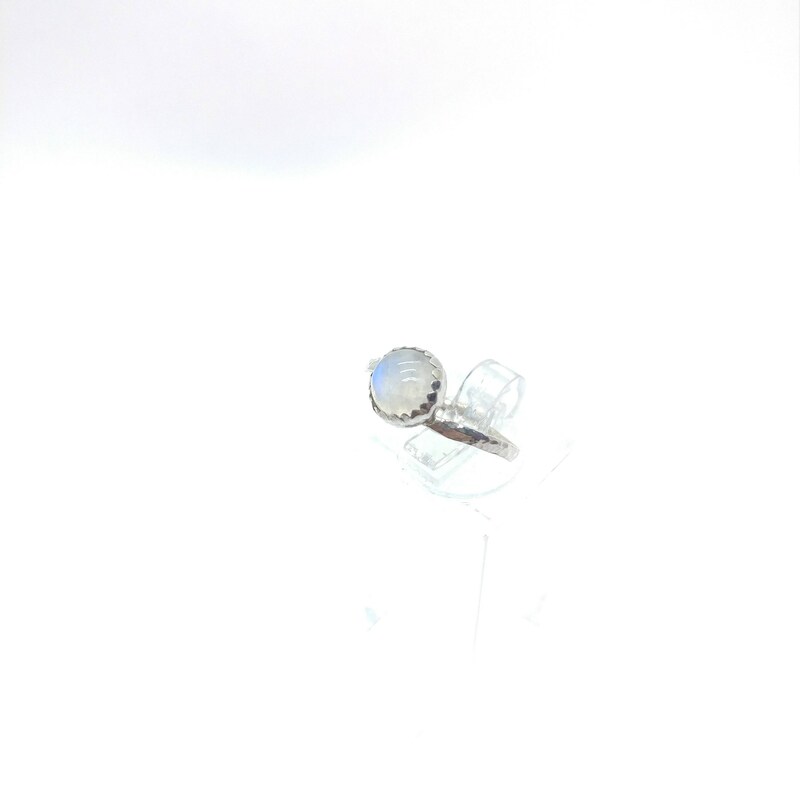 It has always been a sacred stone in India with a special significance for lovers, and is a traditional wedding gift there. 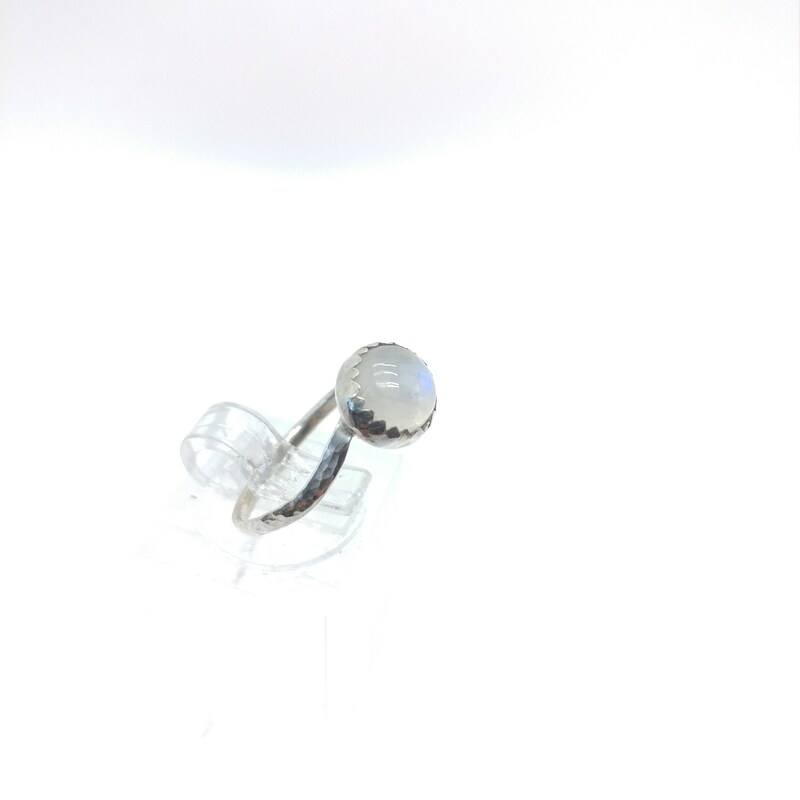 It was a popular choice for jewelers in the Art Nouveau period, and in Europe was believed to reconcile estranged lovers and to cure sleeplessness. 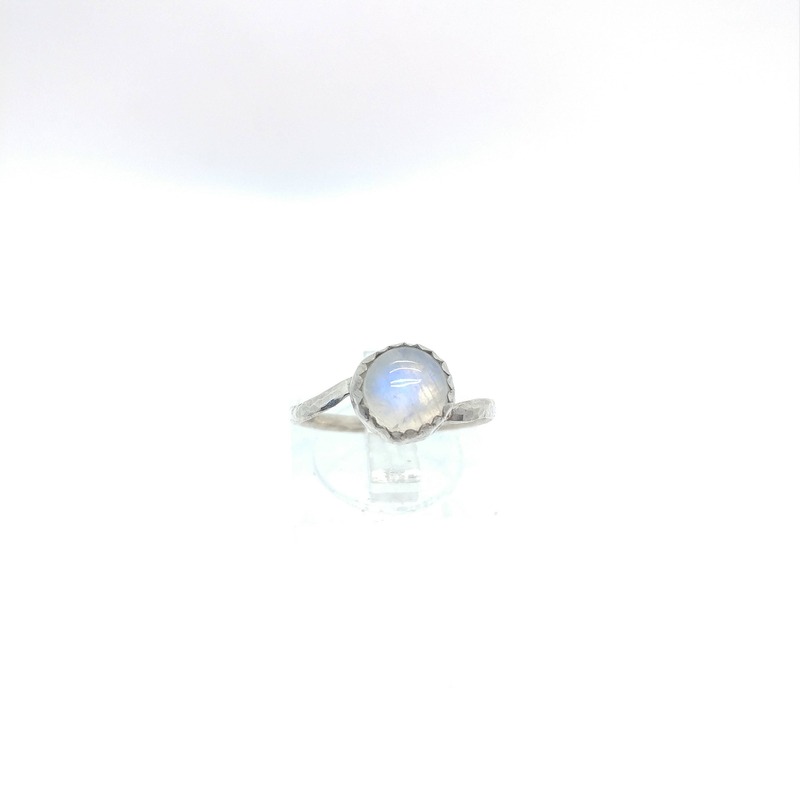 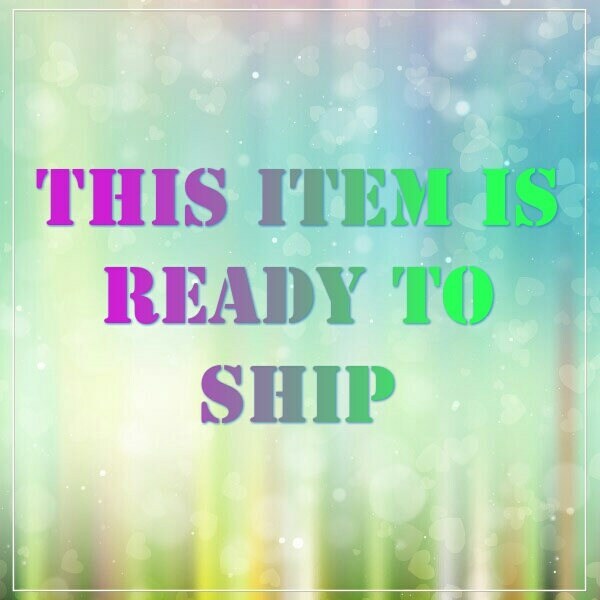 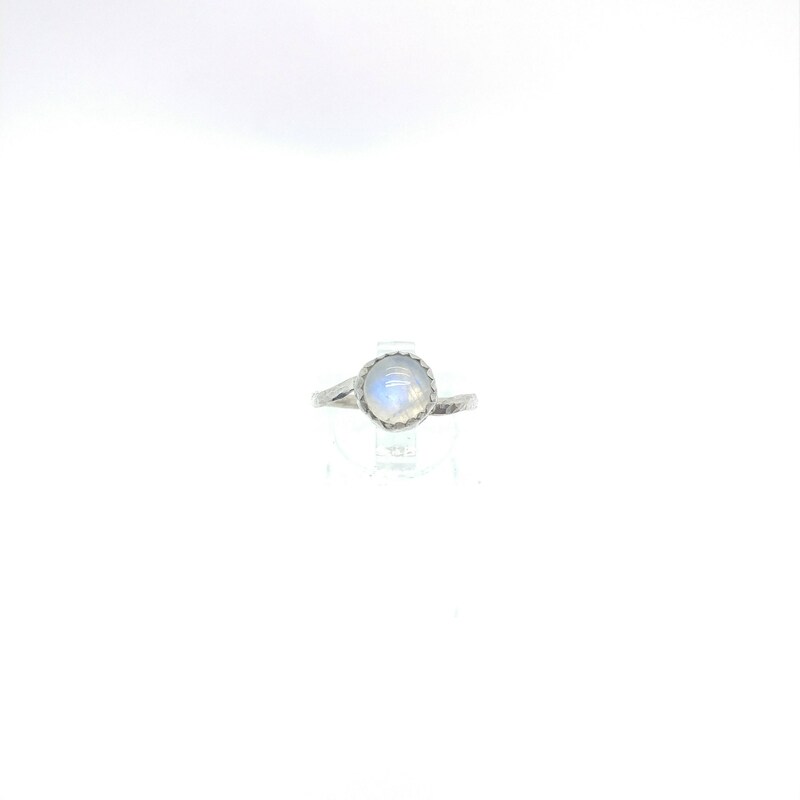 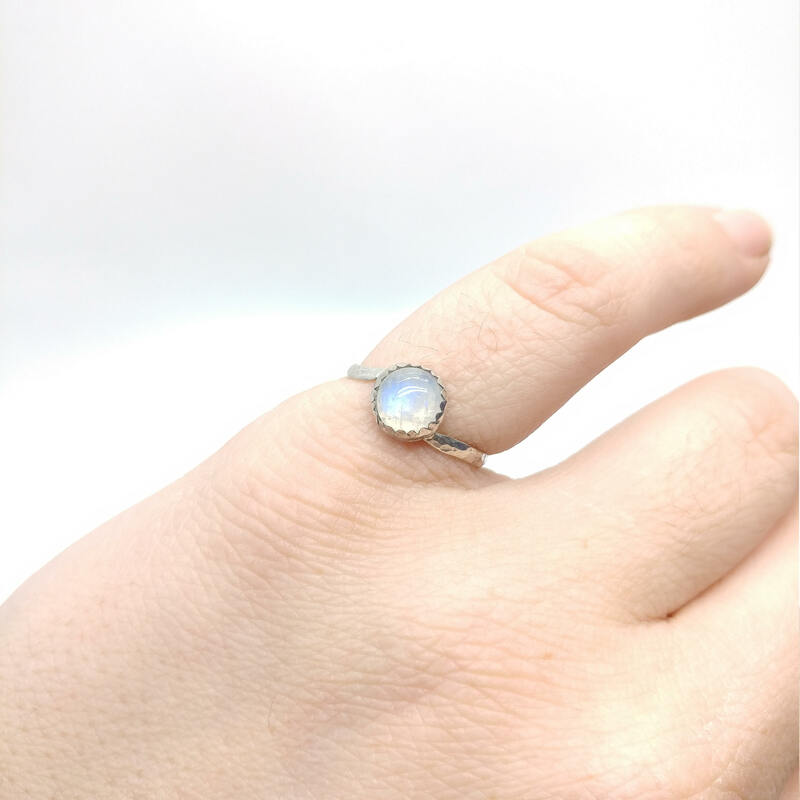 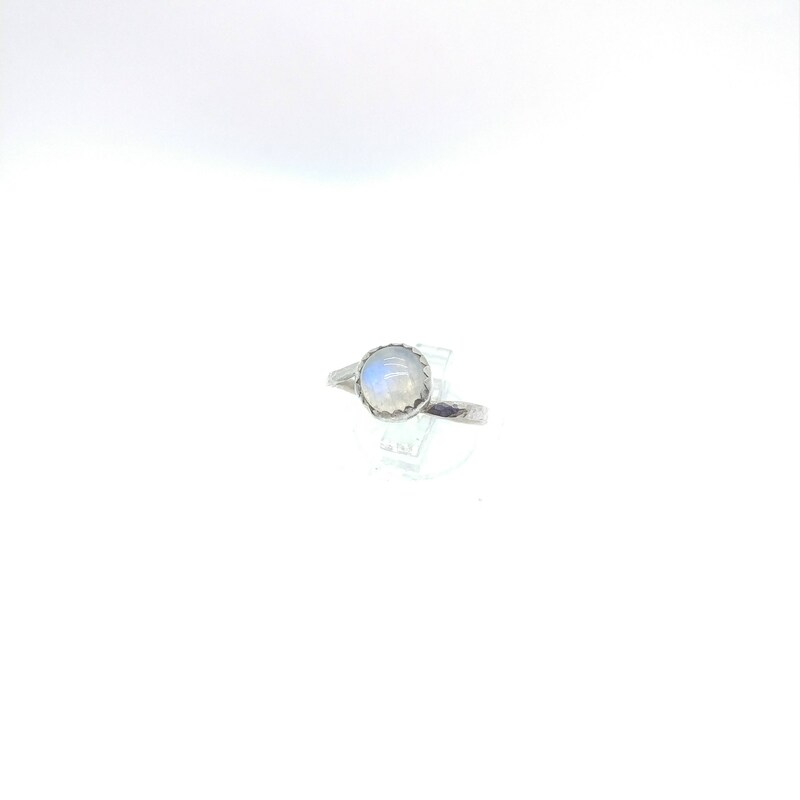 Moonstone is known as the Traveler's Stone for the protection it affords, especially at night, and because of its uplifting quality of hope, has long been worn as a talisman to enhance the personality.